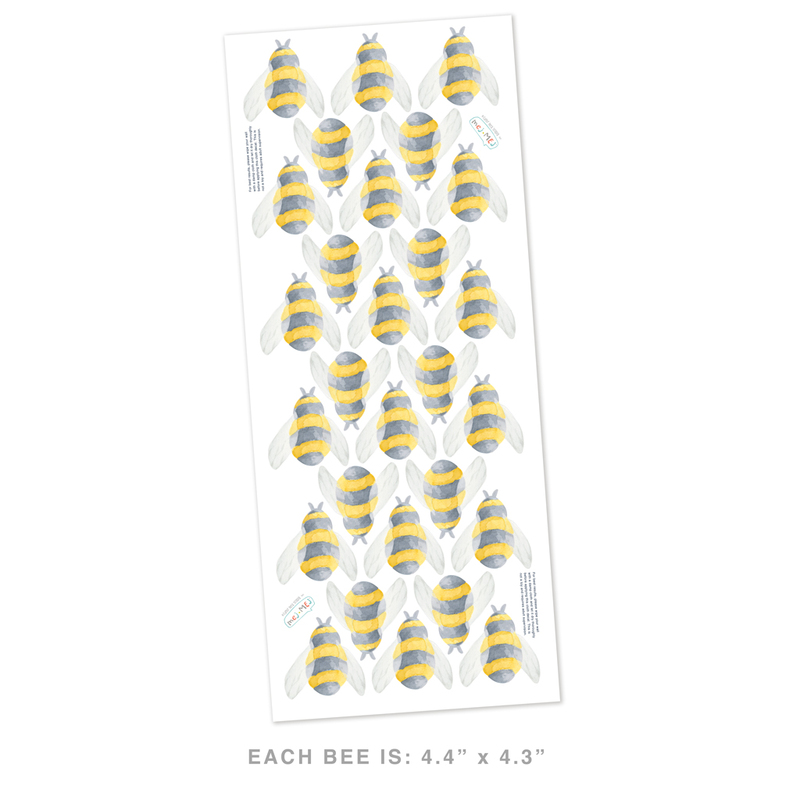 Bee dimensions: 4.4" x 4.3"
We are all abuzz about this set of decals! 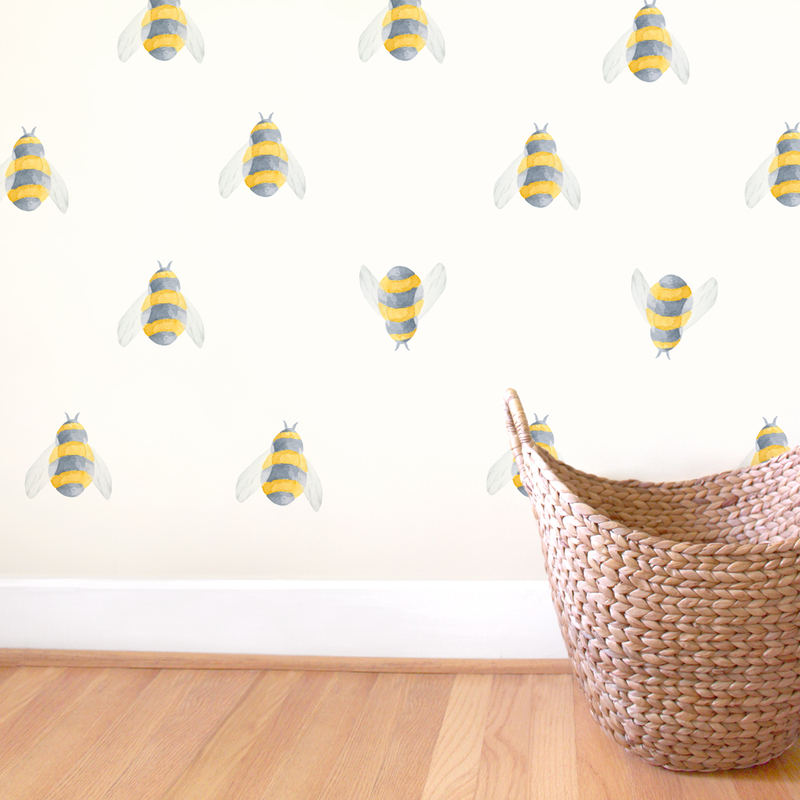 Our fabric wall decals, with a matte finish, are thin and lay flat on the wall...they look like they are real painted murals! And, they are repositionable too! We think they look great in the kitchen too! Created from original watercolor paintings, the Hop collection will add the magic of illustration to all kinds of nurseries and play spaces, whether big or small, modern or classic, girl or boy. Let this group of bunny rabbit friends hop into your heart.